A popular alternative to the traditional casement style window, the Tilt & Turn solution offered by Brit Windows provides a stunning and secure dual opening mechanism for practicality, safety, and aesthetic appeal. Twisting the handle 90 degrees allows the vent to tilt inwards for gentle ventilation, whereas 180 degree turning permits full opening of the window, for fire escape and easy cleaning. 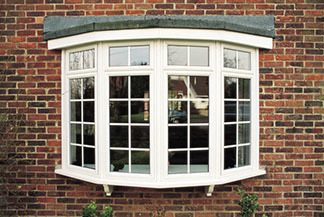 Our Tilt & Turn windows can be coupled to produce bay and bow windows, or used in conservatories and house extensions. 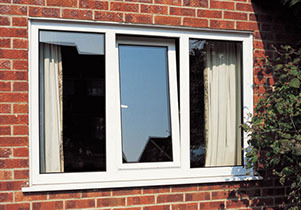 Each Brit Windows Tilt & Turn window is produced using 100% Calcium Organic material. 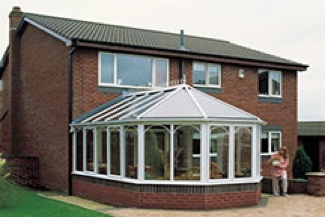 When combined with secondary glazing measures, the Brit Windows Tilt & Turn window offers a secure and attractive option for home improvement. Each window not only assists in providing enhanced interior air quality and natural light, but also boosts your typical energy savings by improving energy conservation and minimising problems such as drafts and heat loss. 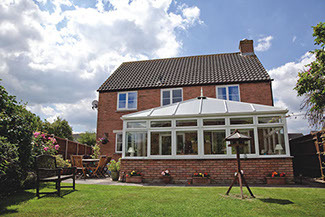 Whether used in a conservatory extension, single storey extension, or the main home, our Tilt & Turn windows are made with the highest quality materials and care – guaranteed to impress. At Brit Windows, we’re devoted to offering the holistic home improvement solutions you need to make your dream project a reality. Our Tilt & Turn windows come with a range of product options, including both bevelled and featured ancillaries to cover any building application. Exceptional Energy Efficiency: Energy efficiency is essential today to do our bit for the environment and of course keep our own energy bills as low as possible. That’s why we have devoted ourselves to offering the highest quality Tilt & Turn windows, designed to achieve high WER (window energy ratings) of A, B, and C, with the appropriate BFRC certificate supplied. Strong Weather Performance: Tested to meet the chaos of British weather, all Tilt & Turn windows are equipped to handle the British/European standards for gusting, water, and air performance via BBA and BSI. 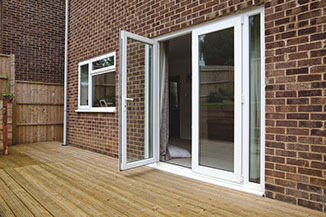 Supreme Security: All Tilt & Turn windows meet “Secure by Design” standards, meeting the requirements of BS7950, and exceeding “Enhance resistance” testing expectations.